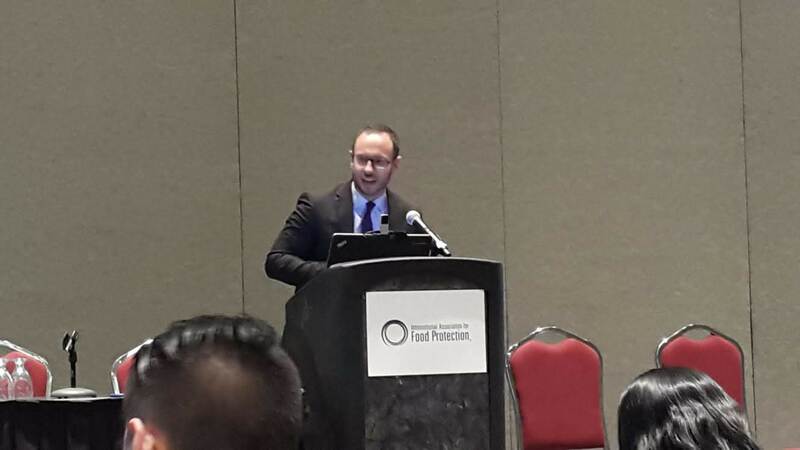 On 10th July 2018 I was very pleased to be invited to the IAFP 2018 Annual meeting in Salt Lake City, to give some insights about the regulatory situation on food frauds in EU. 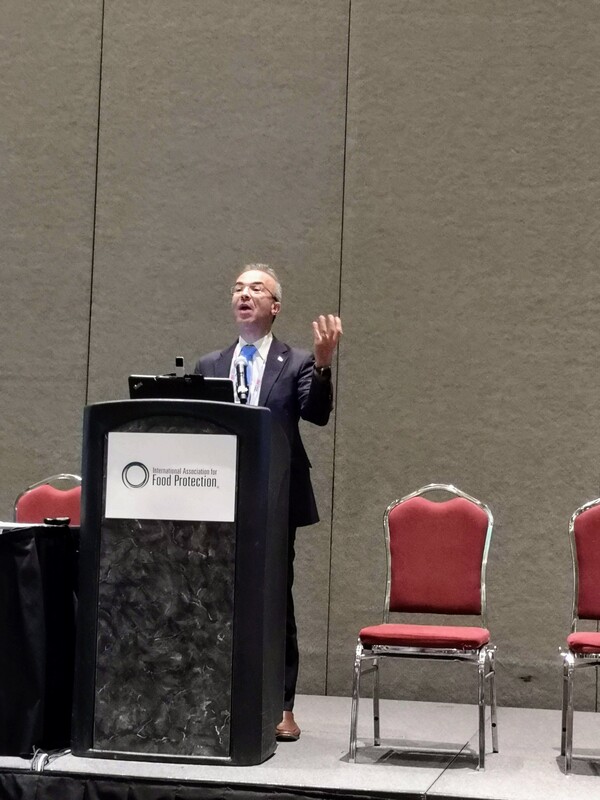 IAFP is a member-based association of more than 4,000 food safety professionals committed to Advancing Food Safety Worldwide® by providing food safety professionals worldwide with a forum to exchange information on protecting the food supply. The symposium was chaired by DeAnn Benesh, Regulatory Affairs Manager at 3M Food Safety and Deon Mahoney, Chief Scientist at Dairy Food Safety Victoria, Australia. The first speech by Samuel Godefroy, Department of Food Science, University of Laval, gave an introduction of the topic, examined the basic concepts beside the definition of food fraud (intentionality, economic gain), the role of the Codex Alimentarius and some private initiatives like FIIN (Food Industry Intelligence network) in UK,a private-private initiative aiming at creating a safe haven for information sharing and analysis, implementing one of the 8 pillars of the Elliot Review on the integrity of the food chain. The role of the Codex, underestimated in my opinion, can be to clarify and – possibly – push for an harmonization of the definition of ffod fraud and of the guidance/tools available to mitigate the food fraud risk. Moreover he looked into other tools available for food companies that are building a food fraud prevention system (SSAFE, PWC, USP guidance on vulnerability assessment) and the efforts of AOAC in creating validated methods and reference materials to strengthen the analytical capacity in the field of authenticity. He finalized the presentation explaining how around the University of Laval working group is taking shape a global coalition of thought leaders in the regulatory agency, that will aim to bring further harmonization in the field and to focus the efforts on specific areas that need to be reinforce, like risk communication. Such topics will be discusse in a forthcoming event in Dubai World Trade Center 28-30th October 2018. The second speaker was Peter Ben Embarek from WHO, which explains the role of INFOSAN and his organisation in food fraud management. INFOSAN is a global network of national food safety authorities, managed jointly by FAO and WHO with the secretariat in WHO. National authorities of 188 Member States are today part of the network ; it’s the most comprehensive platform for rapid information exchange linked to food safety issues and for this reason it is used also as information exchange hub. It proved very worthy in the past, especially during the melamine scandal spread from China in 2008, in close cooperation with local platforms like EU RASFF. Recently many requested of validated information arrived to INFOSAN about the “plastic rice”: most of them revealed totally unfounded. Moreover the system was use as hub for exchanging information by not-EU countries during the recent fipronil in eggs crises (2017). Karen Everstine, former USP manager and now Senior Scientific Manager at Decernis. Decernis is taking over the USP food fraud database development and looks at developing more tools related to food fraud prevention, including an horizon scanning resource. Karen gave an insightful presentation rich of data about the prevalence of food fraud by ingredients, by typology of fraud and by geographical origin of the issue. The second part of the presentation was mostly focused on the role that database could play in drafting a vulnerability assessment, focusing on practical examples like spices and canola oil. Jennifer Thomas, attorney from the Food and Drug Administration (FDA), introduce the regulatory framework for frauds in US (eg. misbranding definition, Preventive Controls for Human Food requirements against economically motivated adulteration with impact on health) and the analytical challenges in detecting fraud. Recently the FDA was mandate to sample lemon juice for potential authenticity issues (dilution, addition of citric acid) and 3 companies were added to Import Alerts. Another case manager was related to imported palm oil adulterated with Sudan dyes: the investigation resulted in 7 companies added to Import Alerts. Last, but not least, the FDA did DNA barcoding analysis on several species of fish and discovered pufferfish declared as monkfish, snapper labeled as ocean perch and grouper passed as weakfish. Next important event linked to IAFP will be in Dubai in few weeks (29th-31st October 2018), where within the Dubai International Food Safety Conference a workshop on food fraud is planned. 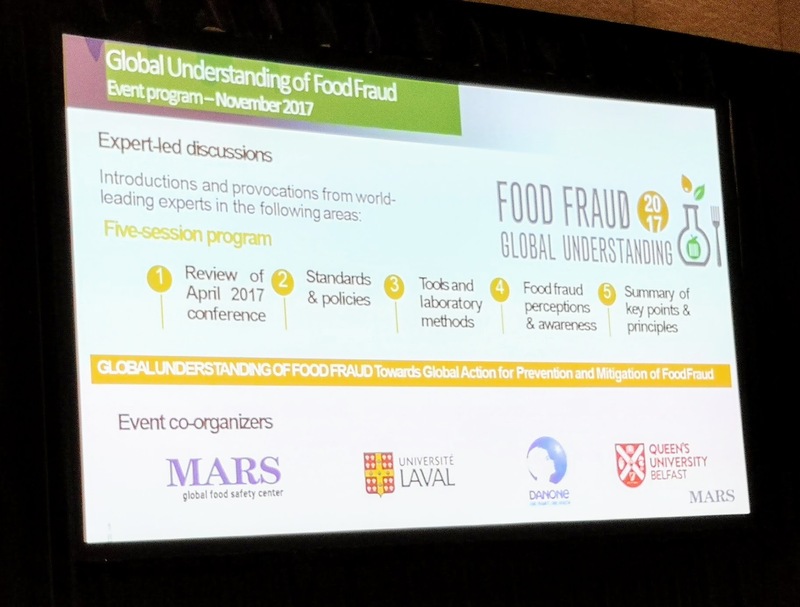 The event follows the series of workshops initiated by the Food Risk Analysis and Regulatory Excellence Platform (FRAREP) of the Department of Food Science and the Institute of Nutrition and Functional Foods (INAF) of Université Laval, Québec, QC. Canada, and aims to support international collaboration amongst the community of stakeholders around food fraud prevention and mitigation. Also this year I am on my way to Thailand to participate as a speaker at the Innofood Conference, within THAIFEX 2018, in Bangkok. Innofood Asia Conference explores how collaborations in technology, food and design are sparking a major revolution in the way we view and interact with food. The conference aims to catalyze the spread of ideas and solutions creating a thriving food and beverage industry landscape with innovative business concepts and experiences. You can find more information here, and download the full programme at the following link. It will be a great occasion to meet my Asian friends a and share a cup of tea. In case you are around, please write me at foodlawlatest@gmail.com or drop me a message on whatsup at +39.3495275567.